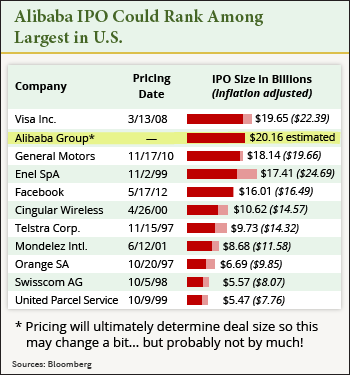 How Big Is the Alibaba IPO? : Currently, the largest IPO on record is the $22 billion deal the Agricultural Bank of China Ltd. held in 2010. Visa Inc. (NYSE: V) holds the record for largest ever U.S. IPO, having raised $19.65 billion in 2008. 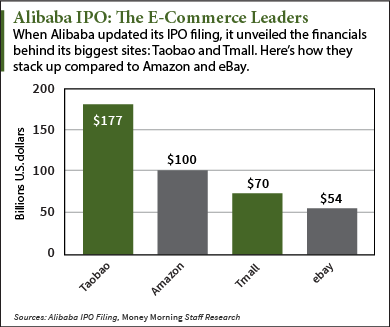 If Alibaba prices at the high end of its $66 to $68 price range, the Alibaba IPO will raise roughly $21.8 billion. 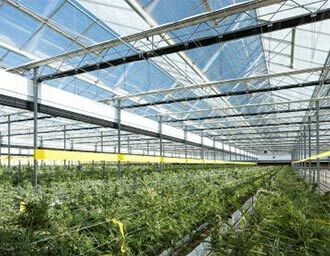 However, company officials said that depending on how many shares the deal's underwriters buy following the IPO, the total could be much higher. In fact, it could go as high as $25 billion. 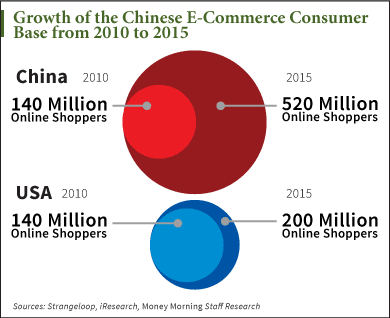 How Big Is China E-Commerce? : Last year, online shopping in China was a $298 billion business. That easily surpassed the United States' $263 billion, making China the largest e-commerce market in the world. Alibaba Is Bigger Than Amazon and eBay, Combined: When Alibaba updated its prospectus in June, it gave specifics on the volume of its websites. In 2013, its most popular site, Taobao, handled $177 billion in transactions. Approximately $70 billion exchanged hands over Alibaba's second-largest site, Tmall, during the same time. 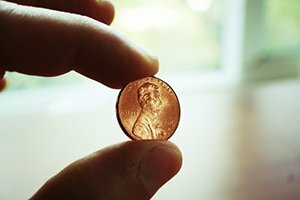 For perspective, Amazon.com Inc. (Nasdaq: AMZN) handled $100 million and eBay Inc. (Nasdaq: EBAY) handled $54 billion in 2013.